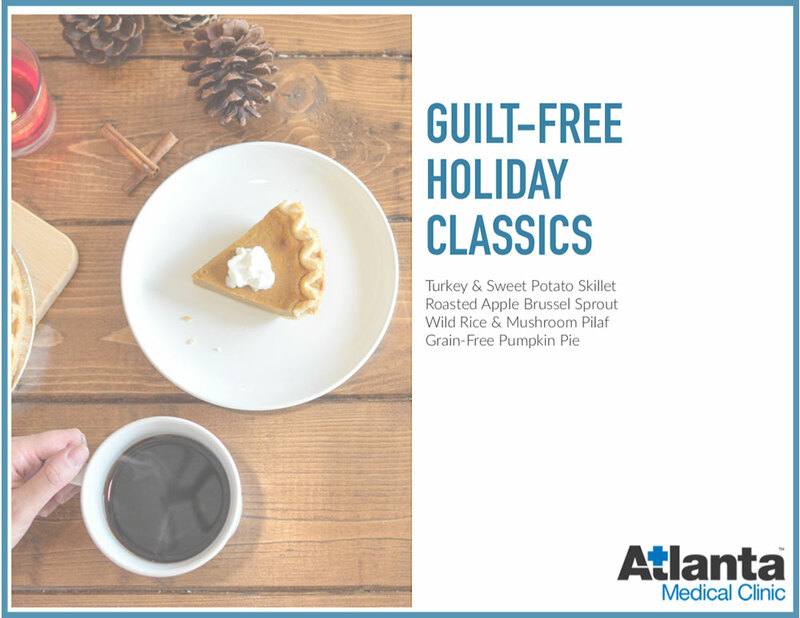 Atlanta Medical Clinic Guilt-Free Holiday Classic Recipe Guide! Choosing healthier options for your holiday festivities doesn’t have to be a struggle. We’ve done some research and provided some lighter options that will leave you feeling better than ever post holiday feast! The recipes collected have been chosen to help mitigate joint pain and swelling. Choosing Vitamin-C & K rich nutrients, as well as gluten-free options are effective ways to help ease body discomfort caused by inflammation! Fill Out The Form On The Right Side Of This Page To Download The Recipe Guide!